Many will claim that this year’s CES was not that great. The largest consumer electronics expo of the year was mostly about cars this time around. However, as always CES was the platform for big and upcoming names in tech to demonstrate not just existing products but also cool, futuristic concepts and technology. As there are essentially countless products to go through at CES, we have chosen to highlight the best product in our opinion in each category so let’s get started! This one was tough to call because we had an overhyped concept car from Faraday Future which was cool but is at least 6-7 years away from hitting the streets. Therefore the best automobile goes to the Chevrolet BOLT EV. This fully electric production vehicle will be the first car to actually compete against Tesla at the lower end of the market with a starting price under $30,000. The arrival of the BOLT is even more exciting because Tesla is set to unveil their entry level Model 3 automobile sometime within the next few months. The BOLT can travel up to 200 miles on a full charge and has a 0-60mph time of under 7 seconds. This one was a no brainer. The Razer Blade Stealth easily takes this honour by offering a truly portable gaming option. There were great products from Samsung, Lenovo and HP. The ultrabook is only .52 inches thick and has a beautiful black aluminium body. The $990 laptop comes with a 6th Generation intel Core i& processor, 8GB RAM and a 4k display. The keyboard keys each have an individual LED and can be configured to match your taste. 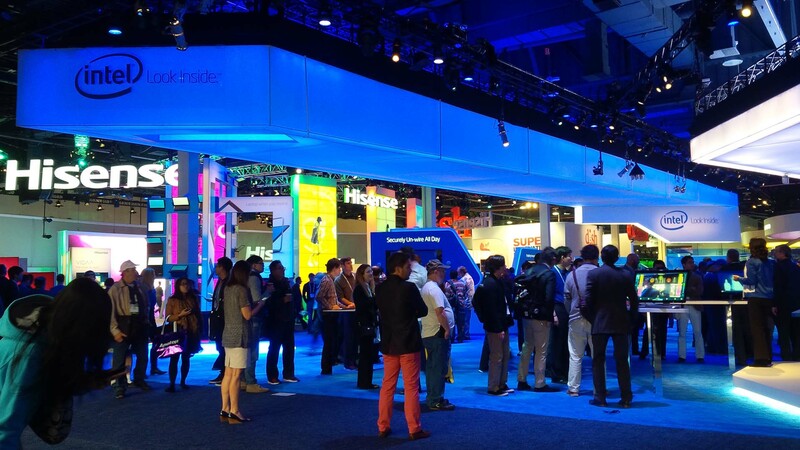 CES this year did not have that many smartphone options. Still, coming up with a winner was difficult. We were initially torn between Huawei’s new Mate 8 and Honor 5X but ultimately ended up with the LeTV LeMax Pro. Well it is because the LeMax Pro is the first device to debut with the much anticipated Snapdragon 820 chip. The Snapdragon 820 will go on to power many 2016 flagships and the LeMax Pro gave us an idea of how we can expect the chip to perform. The fact that LeTV managed to beat everyone to unveiling an 820 powered device and that it is also a rising brand in the west makes this accomplishment even more appreciable. Sorry Huawei but luck was just not on your side. The smartwatch scene at CES was not very exciting either. The Fitbit Blaze raised a few eyebrows but it wasn’t very attractive and was more fitness tracker than smartwatch. A surprise entry into this category came from longtime watchmaker CASIO. CASIO unveiled the WSD-F10, a rugged Android Wear powered device that embodies CASIO’s classic heavy duty watch style. The reason this is important is because CASIO is a known watchmaking brand and its interest in the smartwatch market means that the category is going to see some much needed competition. The company made this watch for those who enjoy the great outdoors. The wearable is Military Standard MIL-STD-810G compliant and is water resistant up to 50m. It also comes with the ability to switch to a monochrome barebones mode which will extend battery life to 30 days. The Faraday Future concept car was very interesting but it is not taking away any awards tonight. The company hyped their concept car too much and didn’t really have anything that interesting to show. Their vehicle was essentially a dummy which only managed to spark more unanswered questions. The winner for this category may come as a surprise to you. LG claims the honour with their revolutionary rollable displays. This product could completely change the way we consume media in the future. Its implementations go well beyond smartphones, tablets and TVs. Imagine a car dashboard covered in this material. If LG manages to combine this tech with their work on transparent displays, augmented reality could become very very real and accessible.